When a family grows and more children are born, the need for extra space can become intense. 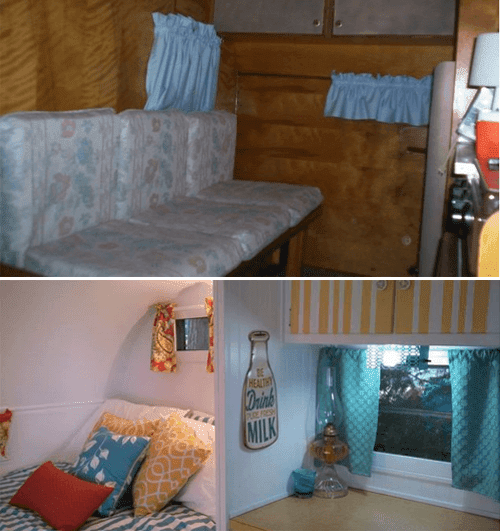 Many people move to accommodate their growing family and buy a bigger house, but one woman instead decided to buy an old camper and convert it into an awesome space. 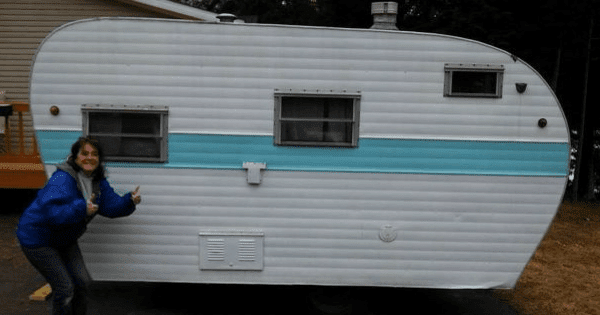 To make sure everyone had a comfortable place to sleep, she bought a “canned ham” camper, converting it into a bunkhouse. This project is not only cheaper than buying a new house, it combines functionality with the cutest living arrangement. Although, after initially buying the camper, it did not look like much. Originally, there wasn’t much room to sleep and the insides of the camper were worn and broken. 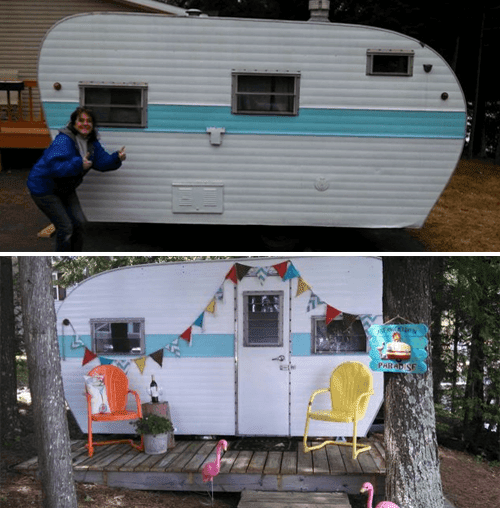 So, she completely transformed the camper. 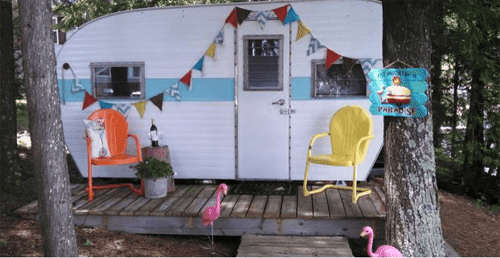 Elizabeth even turned the outside of the camper into a cute space. But the real magic happened on the inside. 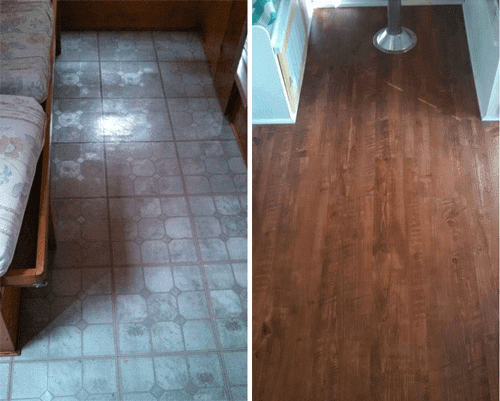 “I tore out the entire inside except for the refrigerator section,” she wrote. With the help of her husband, the couple was able to create the frame for a new double mattress that even has room for storage underneath. 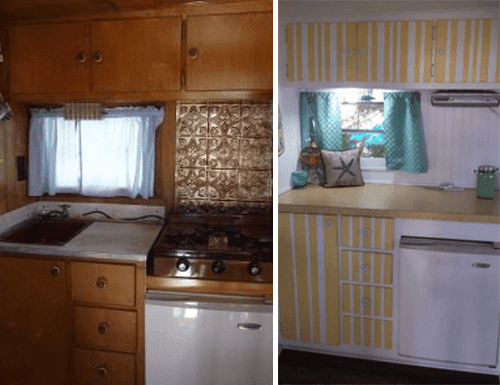 The kitchen’s drastic transformation makes it appear as if it isn’t even the same camper. 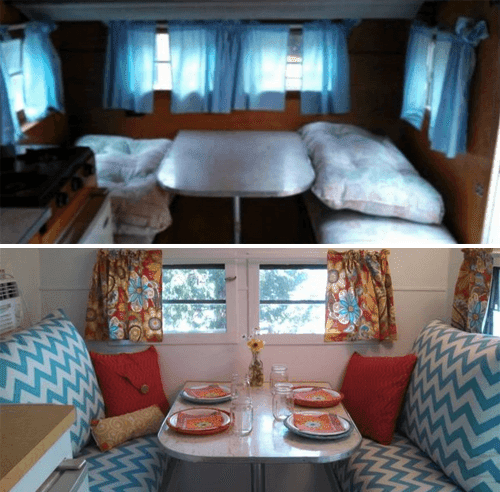 Painting all the walls and cabinets white (instead of a ugly brown they were before) and adding a few accent colors made the camper look and feel refreshed. Even the dining area was turned into a vision right out of a featured article in an interior design magazine. 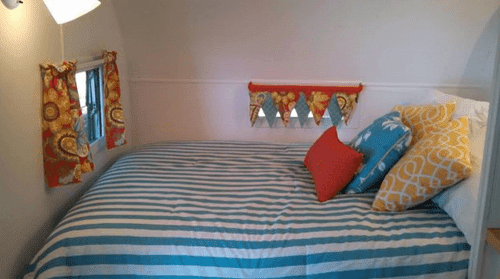 Elizabeth made the bedding, pillows, curtains, and cushions herself, the true DIY way! 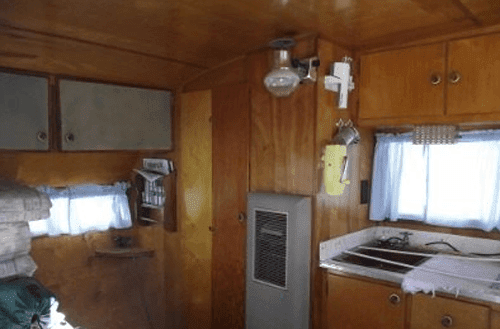 Leaving no inch of the camper unfinished, she even added new flooring to match the fresh new look of everything else. Today, the family still fights about who will sleep well, however, now the dilemma has become who gets to sleep in the bunkhouse trailer. Find out more about Elizabeth’s project here.